4,303 km raced at an average speed of 36.76 km/hr. 130 starters with 82 classified finishers. 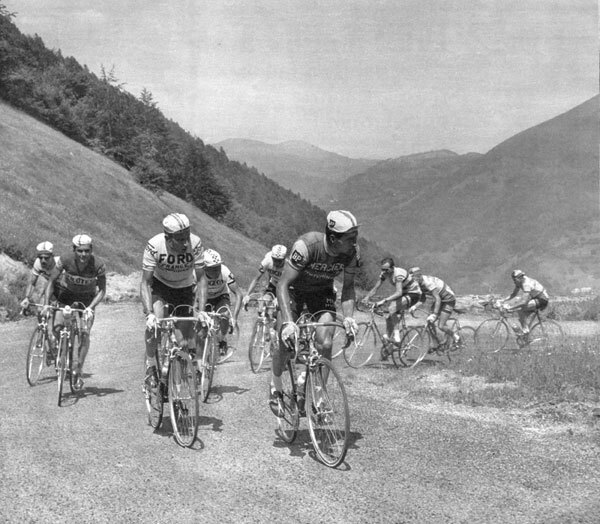 This was the first Tour with dope tests and the riders' resistance to the change provoked a temporary racer's strike. By fixing his attention on Jacques Anquetil while break of good riders went off the front in stage 10, Poulidor lost any hope of winning. Anquetil helped teammate Lucien Aimar win by helping him execute an escape in stage 17. The first 5 rider's times for each team were added up to calculate the stage time. This stage did not affect the individual GCs. Martin Van den Bossche s.t. 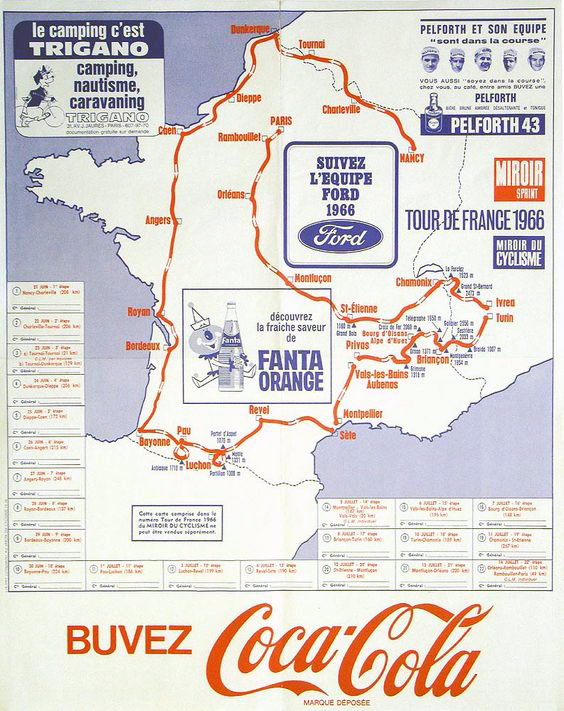 Stage 11: Poulidor, marked by Anquetil (in Ford jersey), leads the best up the Portillion. 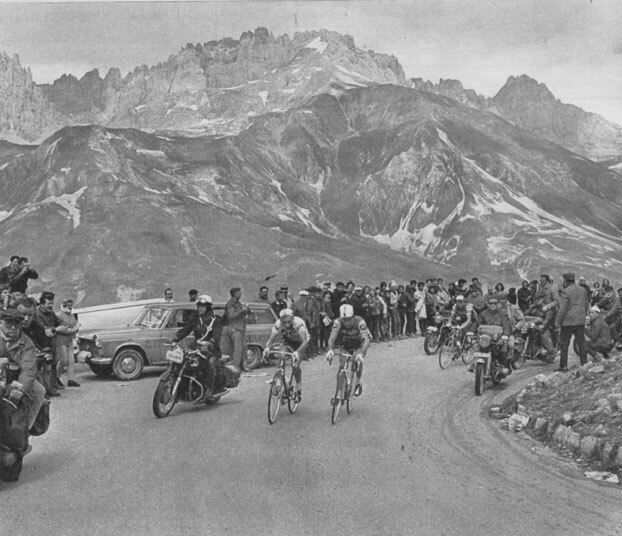 Stage 16: Again, it's Anquetil and Poulidor. 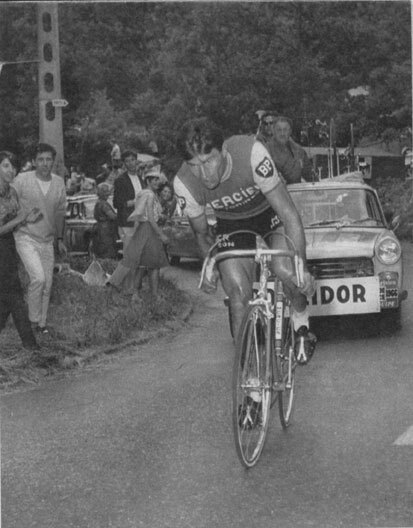 Pouildor riding the 1966 Tour's final time trial.